Beautifully updated one level condo in Lakewood. Convenient to all amenities including parks, restaurants, and shopping. Newer features: washer and dryer, interior lighting, hot water heater, furnace, roof, sliding glass door, renovated bathrooms, AC, and sub panel. Spacious master suite with walk-in closet and attached bathroom. 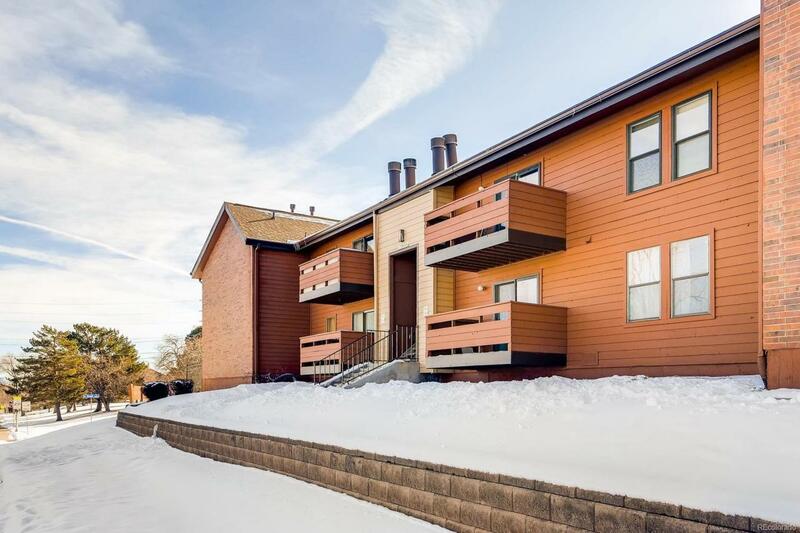 Cozy wood-burning fireplace, wood laminate floors, and all appliances included. Hurry! Offered by Berkshire Hathaway Homeservices Innovative Re.